The Lion King is back! Apparently Mario Cipollini has some pretty hefty tax bills to pay so he’s coming out of retirement at age 40. He’s signed to the controversial (some say) Rock Racing team. 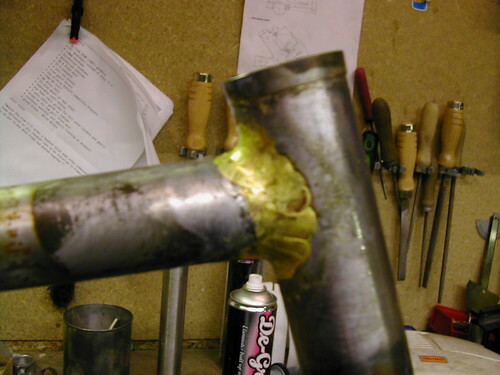 Here’s a pic of a fat boy riding his Shand at the Single Speed World Champs in Aviemore in 2007. Many thanks to Simon Barnes for the image. More of his excellent photography can be found on his flickr site. 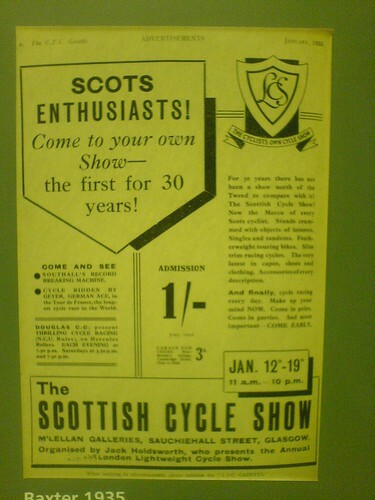 Which reminded me of this poster I noticed the last time I was at the Transport Museum in Glasgow. 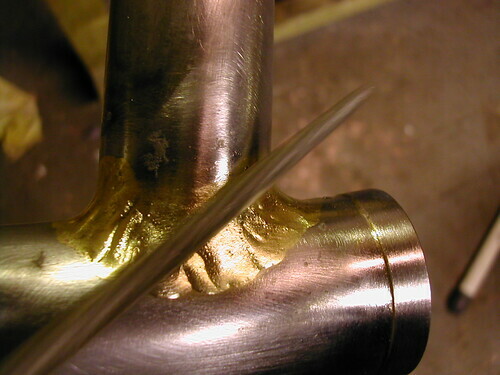 Here’s the toptube/headtube join just out of the soak tank. Clean up the flux residue with a wire brush. Short time with some files and we’ll have a nice smooth fillet. Pictures of the finished joint coming up next. I’ve put a couple of new posts up on the build page.